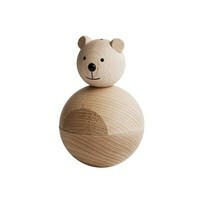 This OYOY Roly-Poly Teddy soft toy, is a heavy rocking bell toy which rocks back and forth when is pushed. 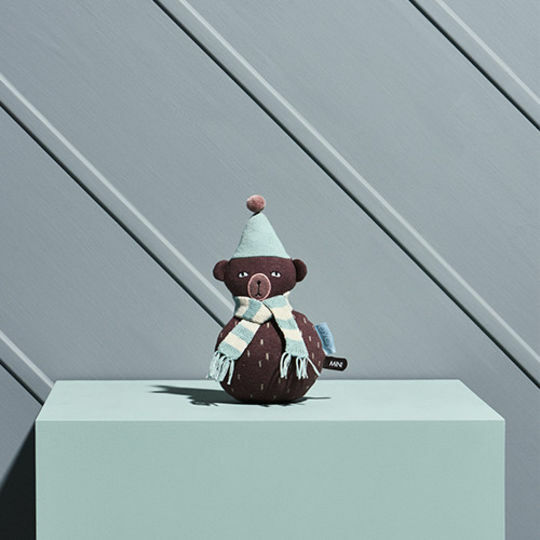 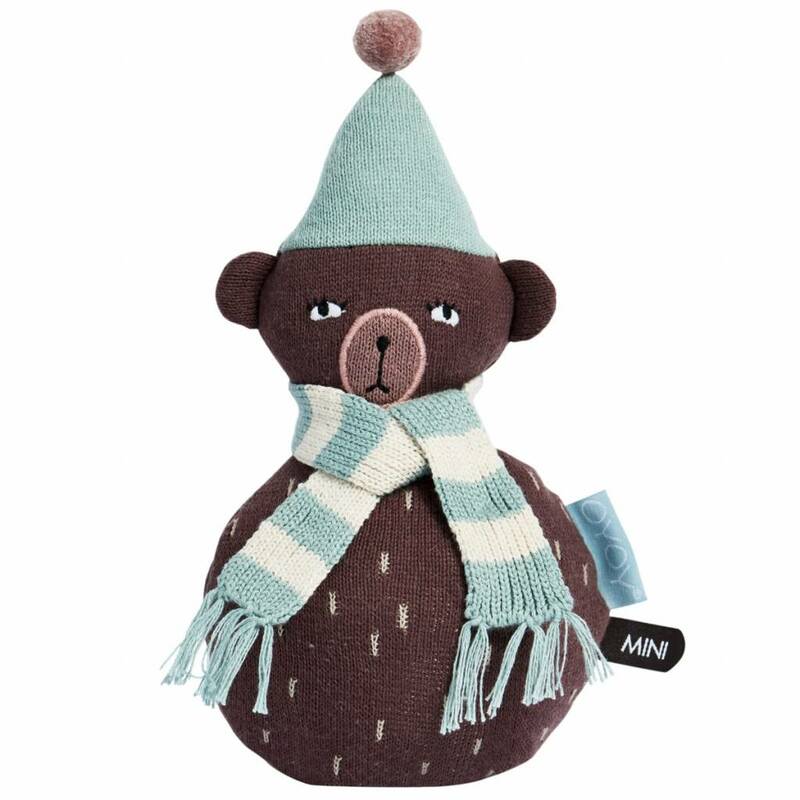 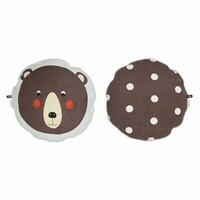 Stylish Scandinavian design bear, with brown body and a awesome scarf. 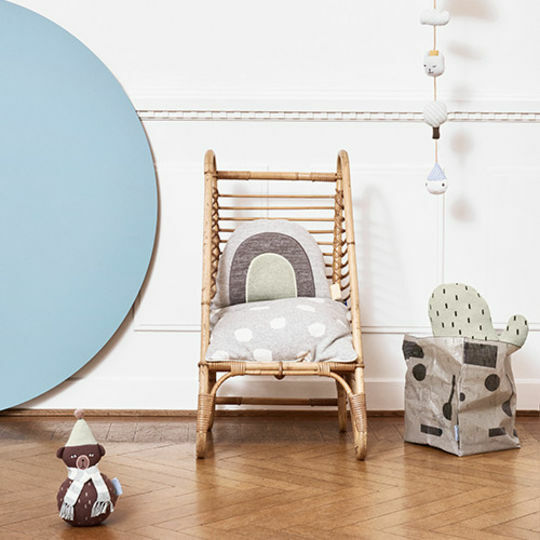 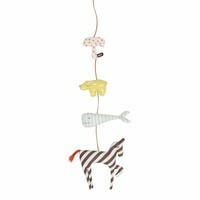 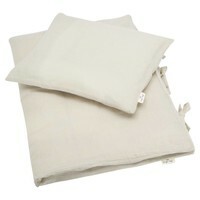 Not only fun to play with, but would also give any child's bedroom a cool edge of style.